SIMPLY SPEND $120 WITH YOUR PURCHASE AND ENTER "INTRO"
AT CHECKOUT TO RECEIVE FREE SHIPPING. When you shop with The Natural City, we always make sure that you receive your parcel in the most timely fashion. We are currently using two parcel delivery providers - Australia Post and Fastway courier. By utilizing these two services, it enables us to dispatch your parcel from 3 different delivery run daily. 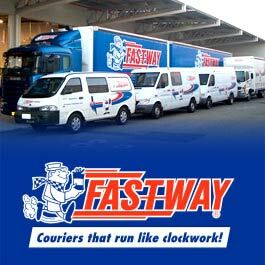 Any Brisbane Metro order is delivered using Fastway Courier unless the delivery address is PO Box. Please indicate in special delivery instruction if you wish to have your parcel sent via Australia Post for Brisbane Metro. All other areas outside is normally delivered Australia Post. Parcels are fully insured from damages or loss in transit. International freight will be calculated separately and added to the total. Customers will be notified via emails before the order is dispatched. Please note all uninsured articles don't come with a tracking number. Please consider taking optional insurance if you wish to have your parcel sent with a tracking number. For delivery times please check the Australia Post website www.AusPost.com.au. Here is a rough estimate. However, this may vary due to unexpected circumstances from Australia Post. The Natural City uses Australia Post and Fastway for deliveries within Australia. It is recommended to provide a work address for delivery if no one is home during business hours. Please be sure to include the business name in the address information if you are sending to a work address. If you are not at the specified delivery address to receive the parcel, a card will be left advising you that delivery was attempted. Sometimes cards get accidentally discarded, so if you believe your parcel should have arrived please use our online tracking system located below to assist in the location of your order. Please Note - All orders must be signed for by signature of addressee or responsible person . SPECIAL INSTRUCTION: Customers wishing to have their parcels left at their premises without signature please indicate in "SPECIAL INSTRUCTION" section when placing the order. Please be aware that The Natural City Supplement & Vitamins Online will not be responsible if the parcel gets lost as the result of SPECIAL INSTRUCTIONS. credit card details and all transactions are 100% private. We use the trusted E-gateway as our third party payment gateway for all of your Supplements & Vitamin Orders. After receiving your order it is instantly picked from the shelf, packed and labelled ready for dispatch. Remember, if you order by 12pm Monday to Friday your order will be dispatched the same day! We pride ourselves on our efficiency. Why wait? The Natural City account details and as soon as the funds appear in our account we'll release your order for shipping. Please make sure to include either your name or order number when you transfer the fund. All payments for orders that are received through The Natural City in Australian Dollars. For any reason if you have received an item which is different to what you ordered, please contact us immediately and we will organise the correct product to be sent to you. We can accept any return if it is incorrectly ordered by you. Customers who have experienced allergic reactions to a product should speak to our customer service consultant before returning the product. What is the process involved in returning an incorrectly sent product? Upon authorisation from a Customer Service Consultant, you will be given a reply paid address to return your product to. We will dispatch the correct product to you whilst we ask you to return the incorrect item back to us.